For the many beginner digital photographers ready for their first DSLR or experienced enthusiasts who want a newer model, the first few months of 2012 have been similar to everyone forgetting their birthdays. Nikon, Canon and Sony have been announcing and releasing a number of high-end cameras, costing thousands of dollars, or upgraded compacts and Micro Four Thirds models that seem to offer all the features of a DSLR, without its size and weight. Finally, with the introduction of the new Nikon D3200 DSLR, beginners and hobbyists are able to join the celebration of 2012 being a banner year for new digital photography equipment. Read real customer reviews of the Nikon D3200 DSLR here. 1. They have every reason to cheer because Nikon has not only improved the capabilities of the D3200 compared to its predecessor, the D3100, but also has priced the new model as a tremendous value. Bundled with Nikon’s AF-S DX NIKKOR 18–55mm f/3.5–5.6G VR Lens, the D3200 is $699, which is only approximately $50 more than the D3100. 2. Nikon has given entry-level DSLR beginners and even many serious hobbyists as much resolution as they will ever need with the D3200’s 24.2-megapixel DX-format CMOS sensor. It’s almost 60% bigger than the D3100’s 14.2-MP sensor. Still photos and video seem to pop from a screen, since the very large sensor delivers such sharp images with lively, natural details. The sensor is coupled with a Nikon EXPEED 3™ processor for color depth that is nothing short of astounding and image rendition with a virtual absence of digital noise. 3. Even beginners, who have never held a DSLR in their hands, will discover the Nikon D3200 is rather lightweight at just 1 lb. (0.45kg), making the transition from a compact very easy. Those photographers familiar with the D3100 will be equally pleased that the D3200 is packed with all the latest features and capabilities, but is essentially no bigger. 4. Not only does the Nikon D3200’s 24.2-MP sensor expand the number of opportunities to shoot in low light, but also the broad range of its ISO sensitivity. 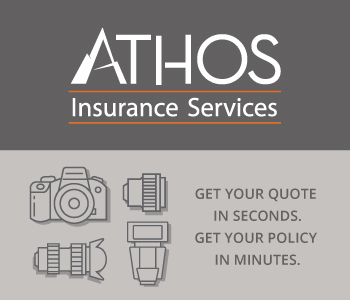 In most cases, the default range of ISO 100–6,400 will allow beginners and enthusiasts to capture highly acceptable photos of their children’s indoor sports activities and family events and vacations where the lighting is low. When the light level is very challenging, the D3200 kicks in more ISO by increasing the high end to 12,800. 5. What will be of particular interest to first-time DSLR owners as well as experienced shooters is the D3200’s Guide Mode. For beginners, the Guide Mode is their onboard instructor, their digital photography textbook. It explains all the techniques in a step-by-step manner that beginners need to know and, since it is able to respond to the user’s specific interests, it advances them towards more creativity and better photos and videos sooner. The Guide Mode also helps those photographers who have learned many techniques, and use them successfully. They are able to refer to “Assist Images” in the Guide, which shows them how to combine what they know with the compositional quality of sample images, paving the way for advanced results. 6. The new Nikon D3200 records 1080p Full-HD video at 24 or 30 fps and it includes a HDMI jack, making it easy to show images and video directly on an HDTV. The auto-focus (AF) system works full-time during video recording, which helps beginners shoot the sharpest video possible, even when the subject (or subjects) are moving. 7. To keep pace with the popularity of social media and its instant communication requirement, Nikon offers an optional WU-1a Wireless Mobile Adapter for the D3200. Photos can be shared immediately with this wireless capability, speeding images to anyone with a mobile device, such as smartphones and tablets. The photographer can also preview the image he or she is about to shoot with a family member or friend, and even control the camera remotely. This is just the beginning of a long list of value features that make the Nikon D3200 not only a worthy replacement of the D3100, but also an excellent choice for a wide range of entry-level and upgrading DSLR buyers. 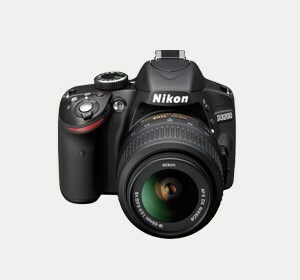 At the writing of this PhotographyTalk article, the Nikon D3200 DSLR with the AF-S DX NIKKOR 18–55mm f/3.5–5.6G VR kit lens was available for pre-order from B&H Photo Video for $699 at http://www.bhphotovideo.com/c/product/856049-REG/Nikon_25492_D3200_DSLR_Camera_With.html.